Twenty years ago, the term cosmetic dentistry was rarely used outside of a dental seminar. Today, thousands of patients have elective procedures to enhance the beauty of their smile. Advances in dental materials, techniques and instrumentation have made it possible to place restorations that are indistinguishable from natural teeth. It is our responsibility to identify the least invasive treatment that will fulfill our patient’s esthetic goals. Only by sitting down and letting our patients discuss what they like and don’t like about their smiles can we hope to accomplish this. Their goals are often as varied as the treatments and procedures that are available. While many patients want their teeth to be perfectly straight and perfectly white, others simply want an age appropriate restoration to correct crooked, worn or missing teeth. This is our philosophy regarding cosmetic dentistry. It is not limited to a specific group of procedures done on a specific number of teeth. With the materials available to us today, every dental procedure should be treated as cosmetic. 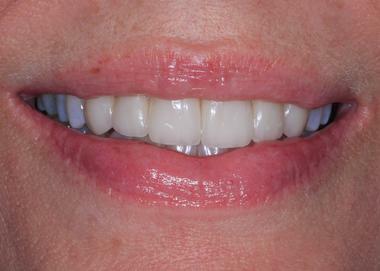 It is our goal to create the most natural looking restorations regardless of how simple or complex the treatment may be. 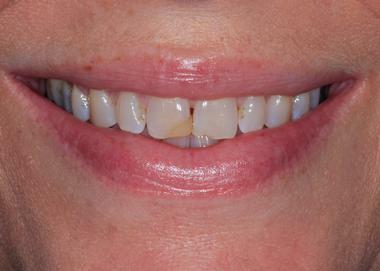 Additional photos of completed Cosmetic cases can be viewed in our Smile Gallery.